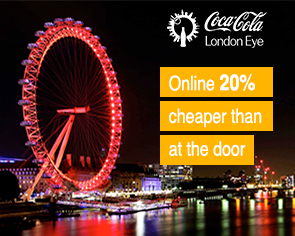 "We enjoyed the London Eye, it was definitely worth booking ahead and booking fast track tickets. The pictures taken before getting on were worth purchasing, but we didn't bother to purchase the ones they took from on the Eye." The London Eye is one of those attractions you just have to try at least once. Book your tickets here and choose Flexi Tickets, which give you the freedom to decide which day you'd like to go, or Timed Tickets, which allow you to pick the day and time of your visit in advance, and choose Fast-Track timed or flexi-tickets to avoid the long lines. For more great ideas check out our amazing combo deals below with savings of up to 60% on London's most popular attractions, including Madame Tussauds, the London Dungeon, & Shrek's Adventure.